grandma's cookie jar: The 2015 grandma's cookie jar Birthday Month Give-Aways Begin in a Week! The 2015 grandma's cookie jar Birthday Month Give-Aways Begin in a Week! Yes, in a week on May 1, 2015 the Birthday Month Give-aways begin with a drawing for the new book, ABC Universe! 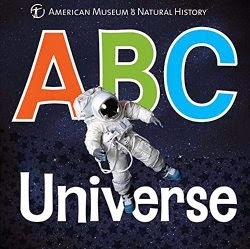 My grandsons really like this book and I like how it is a great way for children to learn their ABC's and it has much to teach about space as well, even making it interesting for adults! So far I've announced 14 give-aways and have six more to share with you. You still have time to enter all the give-aways, just click on the photos of each item which I've posted along the left side of grandma's cookie jar! Who knows??!!! Maybe you will win something!